White Dish Cloths 18cm x 11cm (Pack of 10). Soft and Absorbent. Suitable for wet and dry appli.. Plastic washing up bowl ..
For all general washing up duties. ..
Assorted colours and suitable for all catering applications Coloured check - light weight gener.. Ideal for heavy duty applications. 140cm x 90cm x 30cm large catering size. Pack of 10 &.. Catering Quality. 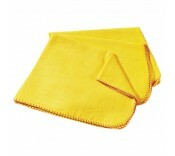 90cm x 60cm good quality heavy scourers. Pack of 10 ..
All purpose wiping cloths Cost effective disposable wipes. Pack of 50 cloths &..
Fresh fragrance, contains anti-static agents, enhances natural beauty and long lasting shine 30.. Creates long lasting, instant freshness and fragrance. 300ml..
Sturdy plastic Dustpan with flexible rubber lip combined with a soft bristle brush for quick and ..
Jeyes Sanilav Urinal Channel Blocks – Citrus Zest (3kg Tub) Detergent based formulation, clean..
Removes wet paint, oil, grease, grime etc For use on hands, tools, and surfaces Antibacterial..
Great for both domestic and industrial use. ..
Carex Handwash 250ml Kills 99.9% of bacteria Dermatologically te.. Kills 99.9% of bacteria Dermatologically tested by experts Cleans effectively removes di..
Pelican Pump Used with a 5 Litre soap container White Plastic ..
Multi-action cleaning wipe Kills 99.9% of bacteria Pack 60 wipes ..